I kicked off 2018 with a month long excursion through Thailand and Cambodia. We had an AMAZING trip and already planning our next trip over. Through out the trip I caught myself saying, “Wow, I am so happy I packed this!” over a few of my items. Normally I am an over packer but I challenged myself this trip to limit my clothing and gear, and it paid off big time! I fit all of my clothing inside of two packing cubes, yes TWO! Having extra space made it easier to organize my bag and to bring home souvenirs. Here is a list of the BEST items I brought with me (and why), and I’ll throw in a few I should have left at home. doTerra Essential Oils: I made 6 rollerball blends specifically for this trip and I used at least one of them a day. With the oils I was able to manage my anxiety, occasional indigestion, muscle aches, headaches/sinuses, sleep, and fend off sickness. 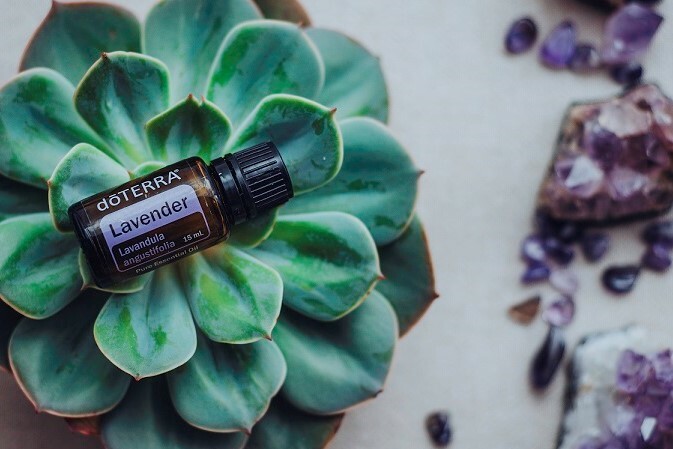 Check out my post on Traveling with Essential Oils for the recipes. Gin Gins by The Ginger People: I always carry these ginger candies with me, especially while traveling! They are perfect for aiding against nausea and motion sickness. Traveling requires, well a lot of traveling; taxis, boats, planes, trains, and Tuk Tuks. No matter your mode of transport you will love having these little treats in your bag. Packing cubes by Lewis N Clark: This was my first time using packing cubes and it reinvented the way I pack. I fit all of my clothing in the two Lewis N Clark packing cubes and I was totally impressed. Packing cubes make it so you can easily pull out what you need rather than sifting through and unpacking your whole bag each time. These cubes feature handles making it even easier to snag what you need in a moment. Small dry bag by Sea to Summit: While there are lots of stalls near adventure locations that sell cheap dry bags, they are generally bulky. I loved having my tiny sea to summit bag because it takes almost ZERO space in my bag. We used it while caving, on boat tours, and during rain storms to keep passports and phones dry. Spork and bowl: Pro-tip, always carry a Spork, Sea to Summit is my fave. It’s super earth friendly and makes eating fruit or pad thai on a beach soooo much easier! I bring my Nalgene screw top container because it reduces to-go waste, perfectly packs snacks, and when you aren’t packing snacks in it you can store your breakables inside it. Pack Towel: DO NOT LEAVE HOME WITHOUT! While many hostels offer a towel service it’s so nice to know you will always have one. Quickdry towels are perfect for adventuring and not having lug around a bulky wet towel. Eye mask and Ear plugs: If you are planning to stay in hostels or catch any sleep on buses/flights you need these, I promise. SUNSCREEN: Turns out this little life saver is super expensive in Asia, bring your own! GoPro: We brought our Nikon camera and a Gopro and ended up using the latter way more. It’s so versatile, durable, and light to carry. When we were in Krabi we even found a shop selling extra batteries and offering print services. Journal: How do you think I remembered all these beautiful places and tips with out writing them down? Patagonia Capilene top: Easily the piece of clothing I wore most on the trip. I sported it multiple days in a row without getting stinky. I highly recommend this top or any other lightweight wicking material. This shirt is seriously the reason I was able to pack so few shirts. Columbia UPF long sleeve: I have really fare skin and it’s just not reasonable to constantly apply sunscreen. This shirt saved me when we were Sea Kayaking, rock climbing, and on those exposed long tail boat rides. Bonus, it doubles as a base layer for those overly air conditioned night buses. Columbia Dress with pockets: Yes a dress with pockets! This dress was my go to for casual and for dressing up. I could wear it all day at the beach and then out to a nice dinner too. The pockets made it so I didn’t have to bring a bag and could discretely carry my money and phone. Sarong: I used my sarong as a cover up from the sun, cover up in temples, blanket when it was SOOOO hot, and as a beach mat. Of course you can pick one of these up in almost any town but I really love mine and it is thicker than the ones in Asia which helped on those colder travel accomodations. Linen Pants: I picked up a pair from a thrift shop but they were Gap Clothing brand. I wanted these for the sole purpose of looking nice in the temples and not sweating to death. They worked out perfectly and I handed them off at a hostel once we had finished viewing the temples. The grand Palace of Bangkok and Angkor Wat of Cambodia while wearing my linen pants, capilene top, and sarong. Snack bag: I literally do not leave the house without snacks. I packed a gallon zip lock bag of power snacks that sustained me throughout the trip. Sure you can pick up snacks while traveling but not having to worry about getting hangry is essential for happy travels. Inflatable neck pillow: SPACE SAVER!! I wanted a neck pillow but couldn’t handle hauling a bulky piece like that, so I found this beauty on amazon. I’m not going to lie, I felt pretty cool. Trucker hat: this was RUINED from all the traveling, I wish i would have brought a bucket hat instead. Battery Pack: there was ample charging everywhere we went and my little battery pack is the only thing that caused me troubles through security. Books: we found so many fun bookstores along the way and inevitably purchased more books. So much cooler to pick a good read while traveling rather than bringing one from home. Sometimes you can even get lucky and trade books at hostels. There you have it my best and worst of packing for Thailand! What is key to remember is pack light and pack with a purpose. All of my clothing choices had a purpose and therefore I brought only ONE of those items. I needed only 1 long sleeve, 1 pair of shorts, 1 skirt, 1 pair of pants, and so on. There is always clothing to be purchased and options to do laundry cheaply! If you have any tips or favorite gear please drop them below! Happy travels! Love this! Wish I would of had this before my trip, the ginger chews would of helped on the bus ride to pai. I totally agree about the ziplocks, I did the same on my trip, but I brought a bunch of gallon bags which came in handy reorganizing our bags/storing wet clothes/ keeping things dry. We also brought a portable battery, but I’m so happy we had it!!! it saved us so many times. There were a couple of places where we stayed where the power shut off at certain times of the day, as well as not give us enough juice to get a full charge , however it did gives us trouble at the airport. I hardy packed any clothes as well, me and ry both had two cubes each and then we shared one. But honestly I wished I would of packed less and bought some of my outfits at the beginning of my trip, since they were so affordable and stuff you would struggle to find in the states. Thanks so much for the contribution Mallory! Glad to hear the battery pack was useful for you. Any trips in the near future? I love these tips! I am a serious over-packer, so knowing what to bring/not to bring it so helpful for me. I’ve never heard of ‘packing cubes’, but they definitely seem life changing. I’ll have to look into those! And a Columbia dress WITH POCKETS??! That’s honestly amazing. That is now the next item on my shopping list. I can definitely stand beside the spork and bowl concept. These are my favorite things to pack. Sometimes I find myself over packing on dining items (fancy camping bowls/cups/silverware/pots) so having ONE item that can do the same as 4 is fantastic. Also, I can’t wait to try those gin gins! As someone who is a walking-upset stomach at all times, I think these would be a great addition to my daily snacks.